Virtual Reality is here. Since 2016 we can play high quality experiences. The games industry spans myriad platforms. Historically, PC (Commodore, Amiga, Dos, Windows, Mac, Linux) through the 70’s and 80’s led the medium. Consoles (Atari, Nintendo, Sega, Sony, Microsoft) and handheld (especially Nintendo) brought the first game-specific hardware to consumers. The 2007 release of the iPhone brought the critical masses to the device that would launch more games per year than any other platform before it. People who ‘never play games’ started to play, and continue to play today. The primary leader of advancement each year has been ‘better graphics’. Visuals are important to the marketing, promotion, and experience of playing video games. While the history of that technology spans decades, the number of other major technology advances is relatively small. 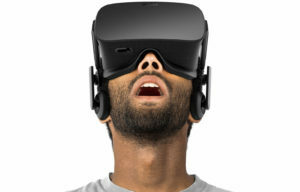 Virtual reality (VR) is a computer technology that uses software-generated realistic images, sounds and other sensations to replicate an a real environment or an imaginary setting, and simulates a user’s physical presence in this environment to enable the user to interact with this space. The essential hardware is a VR Headset. Visuals are at the essence of VR. If all humans had just one eye, we would see still see robust visual information. But compare that to 2 eyes. Our 2 eyes look in the same general direction at the same objects. However, the offset position of our eyes (inches apart) and the unique angle (looking in slightly towards the nose) give us much more information than one eye could give. Through stereopsis we sense depth, perspective, and motion at a more profound level. In traditional software development, visual content is designed for one screen of output (e.g. computer monitor or TV). This is essentially a one-eyed perception of the world within our games. For decades, we have adapted to see those worlds as realistic. The perceived psychological distance between our ‘self’ and our ‘game’ collapses. The subtleties of where we are sitting, how we are sitting, and the angle of the screen are insignificant. In one-screen gaming, we are not ourselves, we are the screen. However, the essential difference in VR is the simultaneous output of 2 high-resolution, high frame-rate screens. For the first time in the virtual gaming world we are gaining the same benefits of stereopsis in the physical world. In VR gaming, we are no longer our game screen, we are ourself. Traditional gaming input devices include keyboard, mouse, controller (joystick/gamepad), and more recently gesture and voice. VR can and will embrace those devices too. Headset – the position, angle, and acceleration of your head are input. Motion Controller – The position, angle, and acceleration of your hand(s) are input. Gamepad – Traditional console game controllers are also popular. While there have been attempts at VR in the past, 2016 marks the relevancy of VR to the mainstream. The cost, quality, and distribution are finally here. Some are already released and before the end of the year, all the known devices will be released. 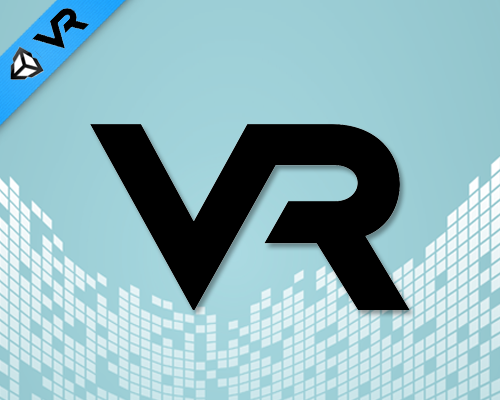 Google Cardboard – Cheapest entry point to VR. Period. Forever, we as game players waited for the right hardware. Its here. Now the game development industry is scrambling to provide us content. Entertainment is the primary usage for the VR we see today, but telepresence, healthcare, and education have massive potential too. Apple has yet (October 2016) to announce specific plans for VR/AR, but the major game development platforms are embracing VR. Some more quickly and completely than others. Here are a few leading options.